Thursday 8 November 6-8pm. 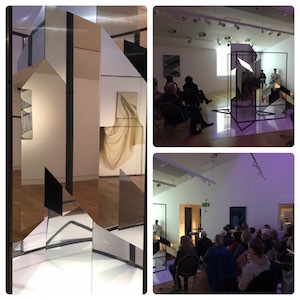 Evening preview and artists talk. Talk starts at 6.25pm. Free to attend. Thursday 15 November 6-8pm. Articulating your practice. The Art of Writing and Talking about your work. A talk with Rosalind Davis. 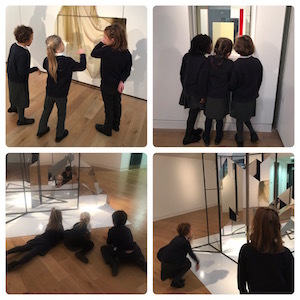 Over 40 small art lovers from Seal Primary school enjoyed exploring the Gallery. Border Controls is an exhibition considered within the shadow of increasingly restricted borders and political controls with regard to migration and the increasing isolationism seen both here in the UK (with Brexit) as well as the wider geographical tensions seen currently in Europe and America. 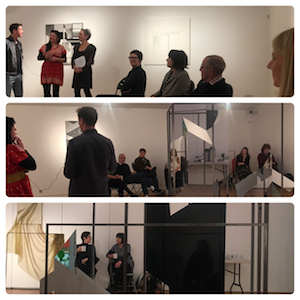 The collaboration between Davis and Hibbs see’s the artists’ consciously inhabiting the thresholds and boundaries between their respective practices in an attempt to open up conversation and discourse around these issues. The personal and political dimensions of art-making and authorship are seen here as a lens through which to consider wider social concerns and questions that address the dynamics of power, autonomy and control. 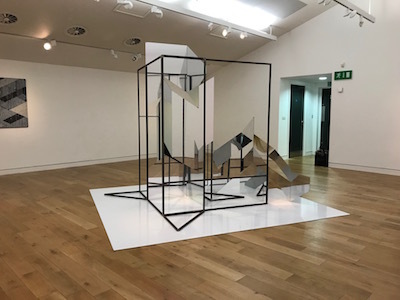 For their exhibition at Kaleidoscope Gallery, Davis and Hibbs will show the piece ‘Border Controls’– a large scale sculptural installation that brings together different aspects of both artists practice into direct dialogue with one another, creating a single collaborative work. Alongside this the artists will also exhibit a number of individual artworks that extend this conversation. Within the parameters of the gallery neither artists work can be negotiated without experiencing reflections of the other within them. 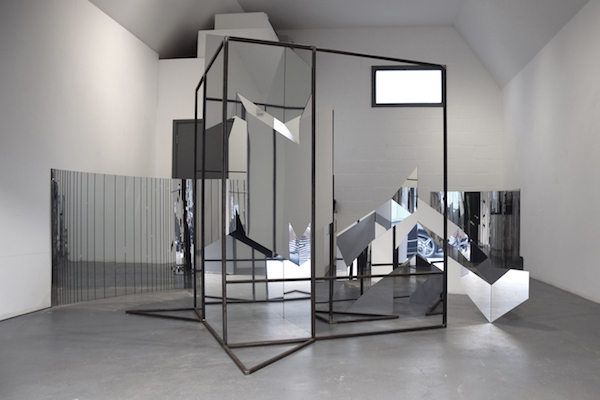 Physical borders cross, overlap, fluctuate and collapse within an installation which transforms, dematerialises and disorients our understanding of space. ‘Artistic production is nodal, networked, and a perpetually unfinished project, things nudging each other, domino effects transpiring. 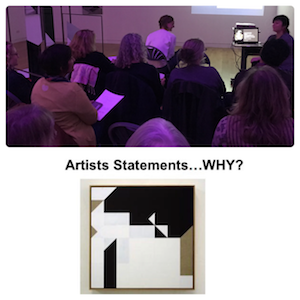 The real-world analogue of this is that in an artist’s studio, it’s always a transitional moment: the detached artwork as standalone statement is a falsity, a piece of theatre. In reality, one thing leads to another, all kinds of ambient forces shaping what’s made’ (Martin Herbert). “Davis’ sculptural interventions have an ability to change composition in a circular narrative portraying how we move through space while adapting to the structures and how we adapt structure to the way we move through space. (1) There is an ongoing negotiation between our perspective of being external to the structure and our bodily experience of interacting with it. Rosalind Davis is an artist, curator and a graduate of The Royal College of Art (2005) and Chelsea College of Art (2003). 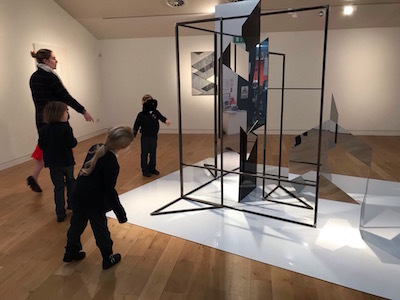 As an artist Davis has exhibited nationally and internationally in a wide range of galleries and has had a number of solo shows in London: no format Gallery (2017) the Bruce Castle Museum (2013); John Jones Project Space; Julian Hartnoll Gallery (2009); The Residence Gallery (2007) and The Stephen Lawrence Centre. Selected group exhibitions have been at the Courtauld Institute, no format Gallery, Griffin Gallery, Arthouse1, Bo Lee Gallery, Standpoint Gallery, Transition Gallery; The Roundhouse; Phoenix Brighton; APT Gallery; the Lion and Lamb Gallery; Parameter Space, The ING Discerning Eye; the Lynn Painters Stainers Prize, New Relics at Thameside Gallery curated by Tim Ellis and Kate Terry. Her work is held in a number of private and public collections including Soho House. She is also a member of the Undead Painters. 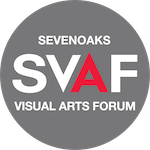 In 2018 Davis has a joint show with Justin Hibbs at Sevenoaks Visual Art Forum Kaleidoscope Gallery and in 2019 a solo show with the Foundry Gallery, London. 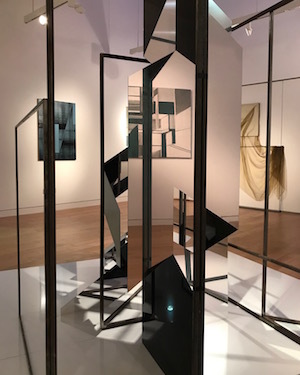 In 2016 Davis was appointed Curator at Collyer Bristow Gallery; a dynamic gallery in a law firm and her first exhibition there was reviewed as a ‘Cracking Show. Superb Artists. Brilliantly curated’ (Art Top 10 Review) and is now curating her eight show there. Davis had previously co-directed and developed two arts organizations; Zeitgeist Arts Projects (ZAP 2012-15) and Core Gallery (2009-11,) based in South East London. 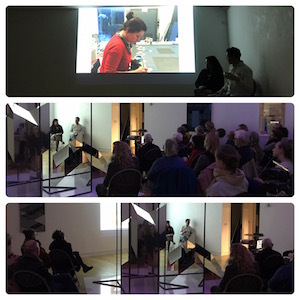 Other co-curatorial projects have been at Standpoint Gallery, Arthouse1, Geddes Gallery and with ZAP at Bond House Gallery (ASC).